Challenges Ahead for WFAN. New York Daily News sports columnist Bob Raissman writes today about the double-whammy facing CBS RADIO’s sports talker WFAN with morning show host Craig Carton’s arrest on Wednesday and the looming December exit of afternoon drive icon Mike Francesa. Although WFAN hasn’t officially announced it’s firing Carton, right now it’s hard to imagine a scenario in which he’s back on the radio there. Raissman quotes a radio executive saying, “In the short term it could destroy the radio station.” Raissman goes on to wonder if the station will ask – or rather, beg – Francesa to stay with the station for a while. 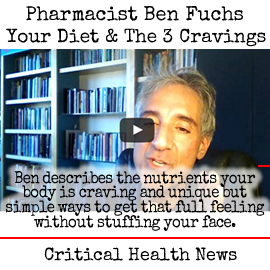 Read his column here. For today, WFAN had Phil Simms sitting in with Boomer Esiason on the morning show. Report from NAB/RAB Radio Show. 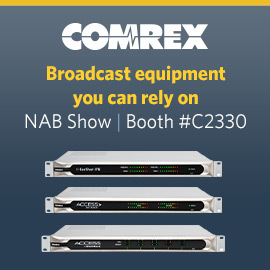 Media consultant Holland Cooke files his report from Austin, Texas and the NAB/RAB Radio Show. Today, Cooke presents his notes from the Pillsbury Law Leadership Breakfast where executives including David Benjamin of Benjamin Media Investments LLC, Cox Media Group president Kim Guthrie, Connoisseur Media CEO Jeff Warshaw, Neuhoff Communications CEO Beth Neuhoff, and others spoke. Also, FCC Chairman Ajit Pai delivered his address to the attendees and Entercom CEO David Field was presented with the NAB’s National Radio Award. Read Cooke’s notes from the convention here. Cumulus Media and WideOrbit Announce Deal for Traffic System. This is a mega-deal for WideOrbit as it is installing its array of traffic and advertising software in all 447 radio stations operated by Cumulus Media. A press release from the companies says that WideOrbit will “provide Cumulus with a comprehensive operations solution for traffic management, digital advertising, network and barter ads, electronic payments, revenue optimization, and hosting. The software allows all stations to log into the same database, and will streamline corporate reporting and credit management, optimize spot scheduling, and give Cumulus advertisers a simple, integrated method for paying invoices with credit cards and ACH electronic payments.” This deal means the company is replacing the Cumulus-developed Stratus traffic system. Implementation is expected to start by the end of this year. TALKERS News Notes. Philadelphia all-news KYW is introducing a new, 30-minute Sunday morning program called, “Flashpoint.” It’s being hosted by CBS Philadelphia’s Cherri Gregg, who serves as KYW community affairs reporter. She says, “I am very excited to be a part of this effort to provide a platform to flesh out issues affecting our community. With so much happening in the news, it is imperative that we create a forum where we can dig deeper and more fully explore multiple points of view.” The show is presented in three segments: The Flashpoint Debate, a Newsmaker interview, and a non-profit “Change Maker of the Week,” which highlights an individual or group making a difference in the community…..There’s an FM signal for Alpha Media’s news/talk KGNC, Amarillo as the station is simulcasting on FM translator K248DE at 97.5. As a result, the station tweaks its brand to “Amarillo’s News, Talk, Sports – 710AM and 97.5FM KGNC.” Alpha Media Amarillo market manager Robert Mueller comments, “We are very excited to begin a new era for our listeners on KGNC. For the first time, radio listeners in Amarillo can enjoy their favorite KGNC-AM programs on FM at 97.5. Our commitment to local news and agriculture business will be enhanced along with giving passionate sports fans in the area a place to call home with Dallas Cowboys football, Texas Rangers baseball and ESPN Radio’s suite of shows and live play by play coverage.”…..Starting on Monday (9/11), ESPN Radio’s “Mike & Mike” show (and then the “Golic and Wingo” show after that) introduces its crew of NFL and college football experts who’ll be joining the program this fall. 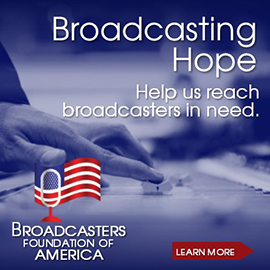 They include: Louis Riddick, Booger McFarland, Ryan Clark, Herm Edwards, Paul Finebaum, Kirk Herbstreit, Brian Billick, Matthew Berry, Field Yates, Mike Golic Jr., and Joey Galloway.….The Philadelphia Eagles and CBS RADIO’s “SportsRadio 94WIP” raised $207,970 over a two-day auction (9/5-6) to benefit Eagles Charitable Foundation, the team’s 501(c)(3) public charity. Its goal is to provide the Greater Philadelphia region with greater access to vision care and autism research. Trump Sides with Schumer and Pelosi, Hurricane Irma/Harvey Aftermath, North Korea Threats/Putin Response, Hillary Clinton Book, DACA Repeal, Menendez Trial, MLB Action, and NFL Season Starts Among Top News/Talk Stories Yesterday (9/6). Republicans shocked at President Trump’s deal with Democrats to attach hurricane relief to temporary debt deal; Hurricane Irma hits the Caribbean and heads for Florida, and the aftermath of Harvey; North Korea’s continuing nuclear threats and Vladimir Putin’s warnings against military posturing; Hillary Clinton’s book detailing her election loss to Trump, including her criticism of Bernie Sanders; the proposed rollback of the Deferred Action for Childhood Arrivals act; the trial of New Jersey Senator Robert Menendez on bribery and corruption; Major League Baseball’s playoff push; and tonight’s start of the NFL season were some of the most-talked-about stories on news/talk radio yesterday, according to ongoing research from TALKERS magazine. Round Two of August PPM Data Released. The second of four rounds of August 2017 PPM ratings information from Nielsen Audio has been released for 12 markets including: Washington, Boston, Miami, Detroit, Seattle, Phoenix, Minneapolis, San Diego, Denver, Tampa, Baltimore, and St. Louis. Nielsen’s August 2017 survey period covered July 20 – August 16. View all the 6+ numbers from subscribing stations here. Meanwhile, managing editor Mike Kinosian provides his “Takeaways” from all of these PPM markets below. 1) Washington, D.C. – As it has each month this calendar year, WTOP holds down the runner-up slot and, by notching a gain of seven-tenths (to 8.9, 6+), the Hubbard all-news property pulls the plug on four consecutive negative trends that yielded a collective -1.7 (9.9 – 9.1 – 8.8 – 8.7 – 8.2, 6+); July’s 8.2 was its softest 6+-stat since “Holiday” 2015’s 7.5. 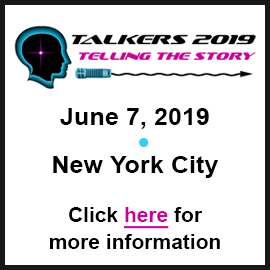 Entering the July sweep, CBS Radio sports talk WJFK-FM “106.7 The Fan” doubled its 6+-stat since February with four straight up or flat trends (1.5 – 2.2 – 2.8 – 3.0 – 3.0, 6+), but faltered by three-tenths. The Washington Nationals’ flagship bounces back in August though with a gain of one-half share (2.7 – 3.2, 6+) to cruise from #16 to #11 and register its highest 6+-share in nearly three years (3.2, 6+, October 2014). Trending 3.5 – 3.6 – 3.8 – 3.7 – 3.8 (6+) since March, Radio One gospel WPRS “Praise 104.1” progresses by one-half share as well to 4.3 (ninth to seventh), its most potent 6+-share since February’s 4.8. Adding two-tenths to July’s +.1 (9.3 – 9.4 – 9.6, 6+), American University-owned WAMU sets the pace for the eighth consecutive time. A combined -1.5 in back-to-back sweeps (11.5 – 11.0 – 10.0, February – March – April, 6+), WAMU rebounded in May with a +.7 to 10.7 (6+), but “The Mind Is Our Medium” forfeited exactly twice that increase in June with a -1.4. February’s 11.5 matches the highest 6+-share in its PPM-history, first reached in December 2016. The market’s (6+) urban AC share erodes by over 2.0, as Howard University-owned WHUR drops one full-share to 7.1 (6+), while Radio One’s WMMJ “Majic 102.3” is -1.1 (4.9, fourth to fifth, 6+). The decrease ends at five WHUR’s consecutive string of up or flat trends that netted a +2.4 (5.7- 6.0 – 7.0 – 7.5 – 7.5 – 8.1, 6+), but it is in third-place for the eighth time in a row. July’s 8.1 (6+) represents the station’s best-ever PPM-showing. Meanwhile, “Majic 102.3” had been up in back-to-back sweeps for a +.7 (5.3 – 5.7 – 6.0, 6+). A combined -2.3 as the result of five consecutive negative sweeps (6.1 – 5.9 – 5.4 – 4.7 – 4.3 – 3.8, 6+), WMMJ bounced back with three straight increases for a collective +1.6 (3.8 – 4.4 – 4.9 – 5.4, 6+), but that streak concluded in March. Five straight up or flat trends by WGTS generated a +1.9 (2.9 – 3.2 – 3.7 – 3.7 – 4.5 – 4.8, 6+), but the Columbia Union College contemporary Christian facility surrenders all but one-tenth of that gain (3.0, -1.8, 6+). Not only does “91.9 Christian Music Radio” spiral from the top ten (#6 to #14), the -1.8 represents the largest (6+) July 2017 – August 2017 decrease by any station in the 24 PPM-markets whose data has been released thus far this week. 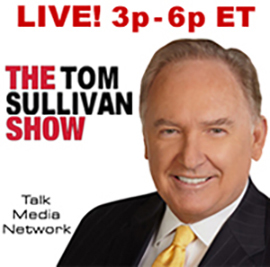 2) Boston – This proves to be a very strong month for the flagships of the Boston Red Sox (Entercom-owned sports talk WEEI-FM) and the New England Patriots (CBS Radio’s similarly-formatted WBZ-FM “The Sports Hub”). Specifically, WEEI-FM gains one-half share (4.3 – 4.8, seventh to sixth, 6+), while “The Sports Hub” improves by six- tenths to 3.9, remaining at #10 (6+). Having bounced back from May’s -.1 with a June gain of three-tenths, WEEI-FM dropped seven-tenths in July; “The Sports Hub” had been without an increase in each of the previous six sweeps for a combined loss of -2.5 (5.8 – 5.4 – 4.7 – 4.7 – 4.5 – 3.5 – 3.3, 6+). Up one-tenth to 3.0 (unchanged at #13, 6+), its CHR sibling WODS “Amp 103.3” halts three successive down or flat trends (3.1 – 3.0 – 2.9 – 2.9, 6+) that immediately followed four successive positive monthlies which netted four-tenths (2.7 – 2.7 – 2.8 – 2.9 – 3.1, 6+). Without a decrease in the last five sweeps for an overall gain of one-half share (1.4 – 1.6 – 1.7 – 1.8 – 1.8 – 1.9, 6+), Northeast Broadcasting Company triple A WXRV “92.5 The River – Boston’s Independent Radio” climbs from #19 to #18. While WGBH Educational Foundation news/talk WGBH-FM erases July’s -.4 with a gain of seven-tenths (3.7 – 4.4, steady at #9, 6+), co-owned classical WCRB is a combined -1.5 in July and August (2.8 – 1.8 – 1.3, 6+) after June’s +.7 and exits the top twenty (#19 to #22); 2.8 was WCRB’s best 6+-stat since last November’s 3.2. Notwithstanding a loss of one-half share (7.7 – 7.2, 6+), Beasley Media Group-owned classic hits-oldies WROR “Boston’s Classic Hits” is on top for the eighth successive time. The market leader for 11 successive monthlies before being dislodged in December, WROR was +1.1 in December; -1.4 in “Holiday” 2016; +1.6 in January; +.8 in March; -.8 in April; and -.6 in June. Others in addition to WCRB and WROR dropping by one-half share in August are iHeartMedia CHR WXKS-FM “Kiss 108 – Boston’s #1 Hit Music Station” (7.0, flat at #2, 6+) and Beasley Media Group-owned WBOS “Alt 92.9 – Boston’s Alternative” (2.1, #15 to #17, 6+). In five consecutive increases prior to the August sweep, “Kiss 108” was a cumulative +1.9 (5.6 – 5.7 – 6.1 – 6.2 – 6.9 – 7.5, 6+); “Alt 92.9” had been within 2.3 – 2.9 territory (6+) for the previous 12 ratings periods. As the result of five successive (mostly modest) dips (5.8 – 5.7 – 5.6 – 5.1 – 5.0 – 4.9, 6+), CBS Radio news-talk hybrid WBZ-AM is off by nine-tenths but carries on in fifth-place. 3) Miami – Tied for #8 in July, Cox Media Group mainstream CHR WFLC “Hits 97.3” and iHeartMedia-owned, similarly-formatted WHYI “Y-100 Miami’s #1 Hit Music Station” continue to shadow each other, with “Hits 97.3” picking up three-tenths to 4.4 (seventh, 6+) and “Y-100” adding two-tenths and staying at #8. “Hits 97.3” had lost two-tenths in each of the previous three sweeps (4.7 – 4.5 – 4.3 – 4.1, 6+), while “Y-100” is a collective +.6 in three consecutive up or flat monthlies (3.7 – 3.7 – 4.1 – 4.3, 6+). May’s -.4 halted at four WHYI’s successive string of up or flat trends that netted an overall gain of one-half share (3.6 – 3.7 – 3.8 – 3.8 – 4.1, 6+), while April’s 4.7 was the strongest 6+-performance for “Hits 97.3” since 4.9 last September. In addition to inching up from seventh to fifth, Entercom classic hits-oldies WMXJ “102.7 The Beach – More Music, More Fun” posts its third consecutive positive trend for an overall +1.3 (3.7 – 4.1 – 4.6 – 5.0, 6+). Off seven-tenths in three straight downward trends (5.9 – 5.7 – 5.6 – 5.2, 6+), adult contemporary cluster-mate WLYF “Lite FM” recaptures all but one-tenth of that collective loss and remains in fourth-place (5.8, +.6, 6+). Meanwhile, Cox Media Group-owned similarly-programmed WFEZ “Easy 93” is trending a very consistent 6.6 – 6.8 – 6.5 – 6.7 (6+) between May and August and advances from third to second. Four-tenths ahead of “Easy” and #1 for the fourth straight time is urban AC sibling WHQT “Hot 105” (7.3 – 7.1, -.2, 6+), whose 7.7 in June was its strongest 6+-stat since July 2016’s 8.0. Down one full-share via four straight down or flat trends (3.9 – 3.3 – 3.2 – 2.9 – 2.9, 6+), Spanish Broadcasting System’s Spanish contemporary WRMA “Ritmo 95.7 – Cubatón y Más” picks up two-tenths to 3.1 (6+) and moves from #15 to #14. After posting a 7.0 (6+) or higher in five of six ratings periods between January and June, Univision Radio Spanish contemporary WAMR “Amor 107.5” sputters by six tenths in both July and August (7.2 – 6.6 – 6.0, 6+), falling from the runner-up slot it occupied the past three months to #3. Up seven-tenths via three straight gains (4.1 – 4.4 – 4.5 – 4.8, 6+), Cox Media Group urban contemporary WEDR forfeits all but one-tenth (4.2, -.6, 6+) with “99 Jamz Miami’s #1 for Hip-Hop and R&B” shifting from fifth to ninth. Without an increase for the fourth straight sweep for a net loss of nine-tenths (3.9 – 3.6 – 3.6 – 3.5 – 3.0, 6+), iHeartMedia Spanish contemporary WZTU “Tu 94.9 FM – Donde Viven Tus Hits” slips from #13 to #15 and has its softest 6+-share since last October’s 2.9. 4) Detroit – This metro’s top eight August 2017 finishers are separated by a high of 6.1 to a low of 5.1 (6+). Off one full-share via three straight downward moves (6.3 – 6.1 – 5.7 – 5.3, 6+), CBS Radio sports talk WXYT-FM “97.1 The Ticket” trots out a gain of seven-tenths to 6.0 (6+) and marches from fifth to a three-way logjam in the runner-up slot. The other two players involved in that tie-up at #2 are Beasley Media Group-owned WCSX and iHeartMedia adult contemporary WNIC “100.3 The ‘80s ‘til Now.” Without an increase in three straight survey periods for a -.7 (5.5 – 5.3 – 4.8 – 4.8, 6+), WCSX responded in June and July with a combined +1.6 (4.8 – 5.3 – 6.4, 6+), vaulting from seventh to the top for the first time in its PPM-history. It sputters by four-tenths though in August to 6.0 (6+) and segues to #2. After posting three straight gains for a full-share improvement (5.2 – 5.8 – 5.9 – 6.2, 6+), WNIC falters by two-tenths (to 6.0, 6+) and actually continues at #2. One-tenth ahead of the three aforementioned stations that are locked in a second-place tie (and succeeding WCSX at #1) is CBS Radio classic hits- oldies WOMC, ironically down one-tenth to 6.1 (6+), curtailing three straight gains that generated a collective eight-tenths (5.4 – 5.9 – 6.0 – 6.2, 6+). Co-owned WWJ posts a gain of two-tenths to 5.4 (sixth to fifth, 6+) to end four straight decreases in which the all-news property regressed by more than two full-shares (7.4 – 6.5 – 6.3 – 5.6 – 5.2, 6+). While it remains at #22, Wayne State University news/talk WDET picks up one-tenth to 1.0 (6+), thus applying the brakes to six successive down or flat sweeps that resulted in a cumulative loss of six-tenths (1.5 – 1.4 – 1.4 – 1.2 – 1.1 – .9 -.9, 6+). Not only does WJR register its third straight decrease for a collective -1.4 (4.8 – 4.4 – 4.1 – 3.4, 6+), the Cumulus Media news/talk station is below a four-share (6+) for the first time in more than two years (3.7, July 2015, 6+) and dips from #11 to #12. Unchanged at #11 (where it was tied in July with WJR), iHeartMedia urban contemporary WJLB “FM 98 Detroit’s Hip-Hop and R&B” loses one-tenth to 4.0 (6+), halting three consecutive gains that netted six-tenths (3.5 – 3.8 – 4.0 – 4.1, 6+). 5) Seattle – It is a mixed-bag for the market’s two principal country FMs. On one hand, Entercom-owned KKWF “100.7 Seattle’s Fresh Country The Wolf” replicates July’s +.6 (2.1 – 2.7 – 3.3, 6+) to jump from #18 to #14 with its highest 6+-share since last September’s 4.1; conversely, CBS Radio’s KMPS “Seattle Country Music Radio” sputters by seven-tenths (4.9 – 4.2, 6+), slipping from sixth to seventh. “The Wolf” was knocked out of the top twenty in June. In addition to KKWF, Sinclair Broadcast Group hot AC KPLZ “Star 101.5 Today’s Best Mix” improves by six-tenths and returns to the top ten (#13 to #10). It is the third straight up or flat trend for “Star” for a combined +1.0 (3.0 – 3.4 – 3.4 – 4.0, 6+) and the station’s highest 6+-share since “Holiday” 2016’s 5.5. The combination of KUOW improving by one-half share to 6.2 (6+) and Hubbard CHR KQMV “MOViN 92.5 – All the Hits” eroding by eight-tenths (6.2 – 5.4, 6+,) results in Northwest Public Radio’s KUOW moving from third to first and KQMV – which plummeted by -1.2 in July – segueing from first to third following a seven-month run at #1. Moreover, KUOW’s increase halts three straight downward moves that produced an overall decline of six-tenths (6.3 – 6.0 – 5.8 – 5.7, 6+). Following three straight gains that accounted for a +1.0 (6.8 – 7.1 – 7.2 – 7.8, 6+), KQMV returned 90% of that increase in April (6.9, -.9, 6+) and bounced back in May with a +.5. Entering the “Holiday” 2016 ratings period, “MOViN 92.5” was on top for 12 straight sweeps before regaining the lead in January. Trending 3.7 – 3.6 – 3.7 (6+) since May, Entercom rhythmic hot AC KHTP “Hot 103.7 – 100% Throwbacks” stumbles by nine-tenths to 2.8 (6+), its softest 6+-share since “Holiday” 2016 (2.8, as well), freefalling from #10 to #19. Co-owned KISW “99.9 The Rock of Seattle” falters by eight-tenths (5.0 – 4.2, 6+), skidding from fourth to seventh. 6) Phoenix – There is seemingly no stopping Hubbard-owned KDKB, which is a cumulative +2.6 in nine straight up or flat trends (2.3 – 2.5 – 2.7 – 3.0 – 3.1 – 3.1 – 3.4 – 3.7 – 3.8 – 4.9, 6+). 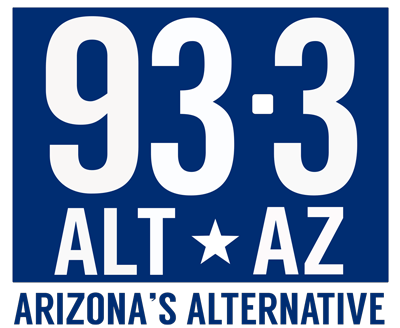 Not only does “Alt 93.3 Arizona’s Alternative” leap from ninth to sixth, it crosses the four-share level (6+) for the first time in its PPM-history. It isn’t the only outlet in the Valley of the Sun to dial up a July 2017 – August 2017 +1.1 though, as co-owned KSLX “Classic Rock 100.7” accomplishes the feat (6.8 – 7.9, 6+). On top for the fourth straight month, “Classic Rock 100.7” was down a combined one-half share in June and July (7.3 – 7.0 – 6.8, 6+). A gain of eight-tenths elevates Maricopa County Community College news/talk KJZZ (#17 to #16) to 3.0, its highest 6+-share since February’s 3.3. In six straight (modest) increases, co-owned classical KBAQ is an overall +1.2 (2.2 – 2.3 – 2.6 – 2.8 – 3.1 – 3.2 – 3.4, 6+) but “K-Bach” backslides #11 to #13. 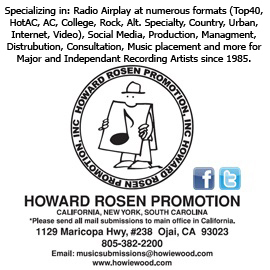 Progressing by seven-tenths each are CBS Radio rhythmic CHR KALV “Live 101.5” (3.2 – 3.9, #11 to #9, 6+) and The Yucaipa Companies hot AC KMVA “Hot” (2.9 – 3.6, #14 to #11, 6+). This marks the best 6+-showing for “Live” since January’s 3.9; “Hot” had been within 2.4 – 2.9 range (6+) the past ten sweeps and registers its strongest 6+-stat in over a year (3.7, 6+, September 2016). A combined +1.7 in June and July (4.7 – 5.3 – 6.4, 6+), CBS Radio classic hits-oldies KOOL surrenders all but six-tenths of that increase in August (5.3, -1.1, second to third, 6+). This time last month, KOOL crossed the six-share threshold (6+) for the first time since May 2016’s 6.0. 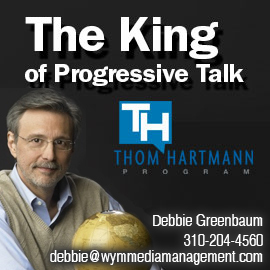 Four straight progressive or flat trends by iHeartMedia hot AC KMXP netted a +1.4 (4.2 – 4.3 – 4.4 – 4.9 – 5.6 – 5.6, 6+), but “Mix 96.9 – Today’s Best Music Mix” sputters by four-tenths to 5.2 (fourth to fifth, 6+); July’s 5.6 was its highest 6+-share since June 2014’s 5.8. In addition to having its 6+-share slivered by more than 55% in four straight downward trends (3.0 – 2.3 – 2.1 – 1.9 – 1.3, 6+), news/talk cluster-mate KFYI disappears from the top twenty (#20 to #25). Trending a steady 2.0 – 2.2 – 2.1 – 2.0 (6+) since April, Bonneville sports talk KMVP-FM “98.7 Arizona Sports” sputters by one-half share to 1.5 (6+) and exits the top twenty as well (#19 to #23). Its news/talk sibling – KTAR-FM – registers its sixth straight decrease for a collective -1.3 (4.8 – 4.6 – 4.5 – 4.2 – 3.9 – 3.6 – 3.5, 6+) and departs the top ten (#10 to #12). 7) Minneapolis – Wiping out in its entirety the seven-tenths it squandered in July, Cumulus Media-owned KQRS “Minnesota’s Classic Rock” (6.3 – 5.6 – 6.3, 6+) rises from sixth to fourth. Stuck on 5.2 (6+) in June and July, CBS Radio adult hits KZJK “104.1 Jack-FM Playing What We Want” spikes by one-half share to where it was in May (5.7, 6+) and inches up from eighth to sixth. Via six successive up or flat trends, iHeartMedia classic hits-oldies KQQL “Kool 108 – Minnesota’s Greatest Hits” (third to second) is +1.4 (5.4 – 5.8 – 5.8 – 6.4 – 6.6 – 6.8 – 6.8, 6+). Stymied at 6.8 (6+) in April and May, CHR sibling KDWB notched back-to-back increases in June and July totaling seven-tenths (6.8 – 7.4 – 7.5, 6+). After finishing at #1 in April, May, and June, however, “The Twin Cities’ #1 Hit Music Station” segued to #2 in July. Even though KDWB loses three-tenths (7.5 – 7.2, 6+), it perhaps extracts some revenge by marching from second to first. Ousted from #1 and taking over at #3 is Hubbard-owned KSTP-FM, which surrenders in full the +1.0 it gained in July (6.6 – 7.6 – 6.6, 6+). Prior to July’s +1.0, “KS-95 Today’s Variety” was without an increase the previous five sweeps for a -1.1 (7.7 – 7.6 – 7.3 – 6.7 – 6.6 – 6.6, 6+). In January, “KS-95” posted a +1.3, curtailing a lengthy dry spell in which the hot AC hadn’t had an increase since February 2016 (10.2 – 9.8 – 9.8 – 9.8 – 9.1 – 9.1 – 8.9 – 7.7 – 7.6 – 7.1 – 7.1 – 6.4, 6+). In those 11 straight sweeps of being either down or flat, “KS-95” was a combined -3.8. Rebounding from July’s half-share loss, iHeartMedia’s similarly-formatted KTCZ “Cities 97” answers by regaining 80% (3.8 – 4.2 +.4, #12 to #11, 6+). A cumulative -1.2 in December and “Holiday” 2016 (5.2 – 4.6 – 4.0, 6+), “Cities 97” was +1.3 in January, but followed it with four consecutive negative trends that produced a -1.4 (5.3 – 4.8 – 4.3 – 4.2 – 3.9, 6+) until it added four-tenths in June. Owing to a -.7 (6.2 – 5.5, fourth to eighth, 6+) iHeartMedia-owned KEEY “K-102 Minnesota’s Country Station” has its lowest 6+-share since January’s 4.7. Format rival – CBS Radio’s KMNB “Buz’n” @ 102.9” – is a combined -.9 in July and August and drops from #11 to #12. In July, it curtailed at three a string of consecutive gains that yielded a +1.1 (3.7 – 4.0 – 4.1 – 4.8, 6+). 8) San Diego – Following three successive months of downward moves for a collective -1.4 (4.8 – 4.2 – 3.8 – 3.4, 6+), CBS Radio adult contemporary-turned-hot AC KYXY bounces back with a gain of nine-tenths to 4.3 and returns to the top ten (#11 to #9, 6+). At the same time, iHeartMedia hot AC KMYI “Star 94.1 – San Diego’s Best Music Variety” surrenders more than twice the seven-tenths it picked up in July (6.0 – 4.4, -1.6, 6+), drifting from first to seventh. July’s 6.0 was the strongest 6+-stat for “Star” since last August when it reached 6.3 and it was the first time KMYI hit #1 since last October. Succeeding “Star” is KPBS, which dials up a +.8 (6.2, 6+) to vault from fourth to first. The San Diego State University news/talk facility had been in 5.0 – 5.5 range (6+) since January (5.2 – 5.4 – 5.2 – 5.0 – 5.3 – 5.5 – 5.4, 6+) and is at #1 for the first time since this past February. When Univision Radio regional Mexican KLNV “Que Buena 106.5” notched a gain of one-half share in June, it ended three straight down or flat trends that yielded a loss of seven-tenths (4.7 – 4.7 – 4.3 – 4.0, 6+). Then in July, “Que Buena 106.5” surrendered seven-tenths only to recapture it in its entirely in August (4.5 – 3.8 – 4.5, 6+) to move from ninth to sixth. Spiking by seven-tenths as well and advancing from #20 to #15 is alternative XTRA “91-X” (1.9 – 2.6, 6+). Flat at #12, iHeartMedia-owned KSSX “San Diego’s Hip-Hop and R&B Radio Station” is off by one tick to 3.2 (6+), drawing to a close four consecutive up or flat trends that netted one-half share (2.8 – 3.1 – 3.1 – 3.2 – 3.3, 6+). 9) Denver – The market’s top two July 2017 finishers were separated by one-tenth of a share and the situation has become even tighter in August as Bonneville country outlet KYGO (6.5 – 6.4, -.1, on top in June and July, 6+) is joined at #1 (up from #3 in July) by iHeartMedia triple A KBCO “World Class Rock,” which boasts its ninth successive increase for an overall gain of a whopping three full-shares (3.4 – 3.6 – 4.1 – 4.2 – 4.7 – 5.2 – 5.5 – 5.7 – 6.0 – 6.4, 6+). After three straight months at #1, KYGO slipped to #2 in May. 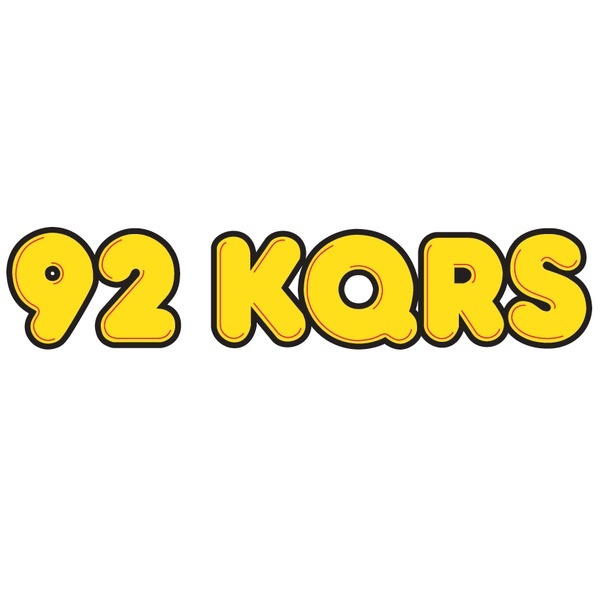 Within one-tenth of KYGO in July, Entercom classic rock KQMT “99.5 The Mountain,” slumps by seven-tenths in August (6.4 – 5.7, 6+) and slides from second to fourth. By recapturing the seven-tenths it lost in back-to-back declines since February (6.2 – 5.9 – 5.5, 6+), “The Mountain” progressed from third to first in May; KQMT improved by one-half share in July. The rollercoaster ride continues for Bonneville’s KKFN “Sports Radio 104.3 The Fan” as its nine most recent shifts are -.5 (“Holiday” 2016); +1.1 (January 2017); -.7 (February); +.6 (March); -.5 (April); +.5 (May); -.7 (June); -.9 (July); and now +1.1 in August (2.3 – 3.4, #18 to #14, 6+). A loss of six-tenths in November halted four successive up or flat trends which netted two full-shares (2.9 – 2.9 – 3.5 – 3.6 – 4.9, 6+). Last October’s 4.9 represents the most potent 6+ showing for KKFN under PPM methodology. Off one-half share in June, Colorado Public Radio’s KCFR responds with a collective +1.9 in July and August (4.0 – 4.9 – 5.9, 6+), leaping from sixth to third and reaching the five-share level (6+) for the first time since March 2016’s 5.7. Within 4.1 – 4.7 range (6+) in each of the previous eight survey periods entering the July sweep, iHeartMedia classic rock KRFX gained seven-tenths to 5.2, but “103.5 The Fox” relinquishes all but one-tenth (4.6, -.6, 6+) and slips from fifth to sixth; 5.2 matched its 6+-share in August 2016. The collective one-half share that Entercom hot AC KALC “Alice 105.9” picked up in June and July (3.4 – 3.8 – 3.9, 6+) is erased in August (3.4, #12 to #14, 6+). Without an increase for the seventh straight time for a collective loss of nearly three full-shares (7.1 – 6.1 – 5.5 – 5.5 – 5.2 – 4.7 – 4.7 – 4.3, 6+), iHeartMedia’s KTCL “Modern Rock – Channel 93-3” drops from eighth to tenth. After being within 3.0 – 3.8 range in each of the last 20 survey periods, co-owned KBPI “Rocks the Rockies” falls to 2.7 (-.4, #14 to #17, 6+). 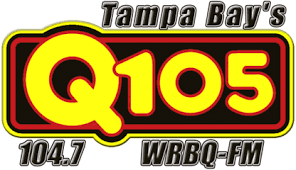 10) Tampa – Following four consecutive negative trends that produced a collective -1.5 (5.6 – 5.4 – 4.9 – 4.4 – 4.1, 6+), Beasley Media Group’s classic hits-oldies WRBQ “Q-105” rebounds with a +1.1 to 5.2, rocketing from ninth to fourth (6+). At the same time, its format foe – Cox Media Group’s WXGL “The Eagle” – falters by eight-tenths (7.1 – 6.3, 6+) but is in the runner-up slot for the tenth straight time. Having posted five consecutive positive trends for a cumulative full-share increase (5.5 – 5.6 – 6.0 – 6.1 – 6.2 – 6.5, 6+), “The Eagle” was down by one-tenth in “Holiday” 2016. A gain of three-tenths to 3.8 (6+) by CHR sibling WPOI “Hot 101.5 – All The Hits” (#12 to #11) pulls the plug on three straight negative moves that yielded a -1.2 (4.7 – 4.3 – 4.1 – 3.5, 6+). While co-owned WDUV finishes at #1 for the 59th successive ratings period, “Lite Favorites” erodes by -1.2 to 9.3 (6+). In advance of the August decline, the adult contemporary property had been a collective +1.8 via four successive uptrends (8.7 – 8.9 – 9.5 – 10.1 – 10.5, 6+) and, in July, registered its most potent 6+-stat since “Holiday” 2016’s 12.7. Steady at #3, iHeartMedia urban contemporary WBTP “95.7 The Beat Tampa Bay’s Hip-Hop and R&B” is up or flat for the fourth straight time for an overall gain of eight-tenths (4.9 – 5.0 – 5.0 – 5.3 – 5.7, 6+). 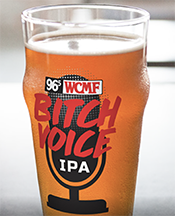 After notching a 6+-trend of 4.7 – 4.6 – 4.7 – 4.6, co-owned WXTB “98 Rock – Tampa Bay’s Rock Station” improves to 5.0 (6+) and carries on in sixth-place. Flat at #14, hot AC cluster-mate WMTX “Mix 100.7” is without an increase for the fifth month in succession (4.0 – 3.8 – 3.3 – 3.3 – 3.3 – 3.2, 6+) and has lost eight-tenths in that timeframe. Down in each of the last three ratings periods for a cumulative -1.3 (4.1 – 3.7 – 3.4 – 2.8, 6+), Beasley Media Group Spanish contemporary WYUU “92.5 Maxima” records a +.4 to 3.2 and climbs from #17 to #14 (6+). Off seven-tenths (3.6 – 2.9, 6+), University of South Florida news/talk WUSF has its lowest 6+-share since January 2016’s 2.7 and fades from #11 to #16. 11) Baltimore – In a 2.7 – 2.6 – 2.8 (6+) mode since May, independent news/talk WCBM hangs out a +.6 to 3.4 – its highest 6+-share since 3.5 in March – and moves from #13 to #11. It is there that it catches Hearst news/talk WBAL (#12 to #11), whose five most recent trends are 3.2 – 3.2 – 3.2 – 3.1 – 3.4 (6+). In that same context, the previous six trends for CBS Radio adult contemporary WLIF were an extremely steady 6.8 – 6.7 – 6.5 – 6.4 – 6.6 – 6.4 (6+), but “Today’s 101.9” (unchanged at #4) dials up a one-half share increase to 6.9, its strongest 6+-showing since January’s 7.1. Although remaining at #15, CBS Radio-owned/Bloomberg-operated business news WDCH has more than doubled its 6+-share since it appeared in print this April (.6 – .8 – 1.0 – 1.1 – 1.3, 6+). Holding even at 7.8 (6+), Radio One urban AC WWIN “Magic 95.9,” which was off six-tenths in July, advances from second to first. Up four-tenths in June, “Magic” curtailed at four its consecutive string of downward trends that accounted for a loss of nine-tenths (8.9 – 8.8 – 8.6 – 8.3 – 8.0, 6+). Prior to June, it had been on top the previous five straight monthlies. WWIN replaces co-owned urban contemporary WERQ “Q-92 Jams,” which is a collective -1.5 in July and August (8.7 – 8.0 – 7.2, 6+) and slips to #3, after three straight months in the penthouse. Having finished second for four consecutive ratings periods, “Q-92 Jams” shifted to third in April. With a gain of one-half share in May though (7.5 – 8.0, 6+) it caught “Magic” at #1. The tie was broken in June as “Q-92 Jams” gained seven-tenths to 8.7 (6+). Showing a net loss of six-tenths as a result of being down or flat the past four consecutive months (8.0 – 7.7 – 7.7 – 7.4 – 7.4, 6+), iHeartMedia-owned WPOC “93.1 Baltimore’s #1 for New Country” nonetheless progresses from third to second. The May – June – July – August up/down sequence at its adult hits cluster-mate WQSR consists of an impressive +1.2 in May; -.5 in June; +.9 in July; and -.3 in August (4.4 – 5.6 – 5.1 – 6.0 – 5.7, 6+) with “102.7 Jack FM Playing What We Want for Baltimore” continuing at #5; July’s 6.0 was the best 6+-performance for “Jack” since 6.1 in March 2015. In three straight declines (5.0 – 4.8 – 4.5 – 3.8, 6+), CBS Radio hot AC-turned-CHR WWMX “106.5 Baltimore’s Best Mix” (seventh to ninth) is a collective -1.2 and is back to the 3.8 it registered in April. Its CHR rival – iHeartMedia’s WZFT – is an overall -.9, as a result of four successive sweeps without an increase (4.1 – 3.9 – 3.7 – 3.7 – 3.2, 6+); “Z-104.3 Baltimore’s #1 Hit Music Station” fades from the top ten (#9 to #13). 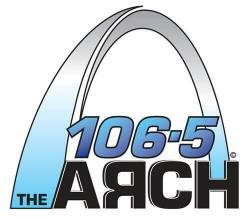 12) St. Louis – Down six-tenths in a June – July mini-slide (6.4 – 6.1 – 5.8, 6+), Hubbard adult hits WARH “106.5 The Arch” gains twice that loss margin with a +1.2 to 7.0 (sixth to fourth, 6+), crossing the seven-share threshold (6+) for the first time since last December’s 7.6. Co-owned WIL-FM “St. Louis’ Country Music Radio” rebounds from July’s -.5 with a gain of eight-tenths (6.0 – 6.8, flat at #5, 6+). July’s one-half share loss halted at four WIL-FM’s consecutive string of increases that netted eight-tenths (5.7 – 5.9 – 6.0 – 6.1 – 6.5, 6+). Still in that Hubbard cluster, sports talk WXOS “101 Sports” is up one-half share to 3.3 (steady at #16, 6+), thus completely erasing its -.5 in three straight (minor) decreases (3.3 – 3.1 – 3.0 – 2.8, 6+). There is still just a one-tenth difference between iHeartMedia CHR KSLZ “Z-107.7 – St. Louis’ #1 Hit Music Station” (3.7 – 3.8, +.1, #13 to #12, 6+) and Emmis’ similarly-formatted KNOU “Now 96.3,” which is up for the third consecutive ratings period (3.1 – 3.5 – 3.6 – 3.7, #14 to #13, 6+). Albeit flat at 8.5 (6+), iHeartMedia classic hits-oldies KLOU is #1 for the third successive month. After three consecutive sweeps on top, KLOU assumed the runner-up slot in April. 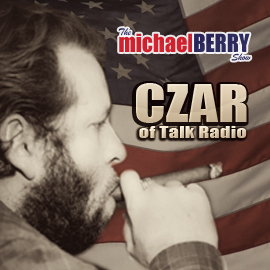 Without an increase for the seventh month in succession for a net loss of -1.4 (6.2 – 5.9 – 5.7 – 5.4 – 5.1 – 5.0 – 4.8, 6+), CBS Radio hot AC KYKY “Y-98” falls from seventh to eighth. Following four down or flat trends that produced a loss of eight-tenths (7.0 – 6.6 – 6.3 – 6.3 – 6.2, 6+), Radio One urban AC WFUN gained three-tenths in July but “95.5 R&B + Old School for The Lou” forfeits six-tenths (6.5 – 5.9, 6+), dipping from fourth to sixth. Dropping six-tenths as well and departing the top ten (#10 to #14) is co-owned urban contemporary WHHL “Hot 104.1,” which is without an increase for the third straight sweep for a collective -1.4 in that stretch (5.0 – 4.1 – 4.1 – 3.6, 6+). Flat or (slightly) down in each of the last five ratings periods for a collective loss of six-tenths (4.0 – 3.9 – 3.6 – 3.5 – 3.4 – 3.4, 6+), Emmis news/talk KFTK carries on at #15. Unlisted for the eighth consecutive month are Gateway Creative Broadcasting-owned contemporary Christian KLJY “99.1 Joy! FM” (4.5, #9, “Holiday” 2016, 6+) and co-owned, similarly-formatted KLJY-HD2 (.2, #20, “Holiday” 2016, 6+). Cumulus-Cox Suit Over Birmingham Sports Programmer Settle; PD Returns to WJOX. The battle between sports talkers WJOX – owned by Cumulus Media – and crosstown start-up WZNN – owned by Cox Media Group but soon to be officially acquired by SummitMedia along with Cox’s other Birmingham stations – has been a hotbed of legal action over the past couple of years. But as the closing by SummitMedia on WZNN “97.3 The Zone” nears, one battle appears to have been settled. Programmer Ryan Haney – who jumped from WJOX to WZNN back in late January only to have his move challenged in court by Cumulus – returns to WJOX. The Birmingham News reports neither side is commenting on any such deal. Haney’s contract had expired more than two years ago but he’d been working as an at-will employee. He left WJOX the same day popular sports talk personality Paul Finebaum left at the expiration of his contract. Finebaum is not working in the business as he is expected to join WZNN after his non-compete expires. 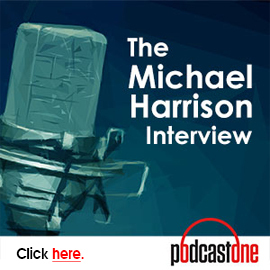 So, You Want to be Syndicated? 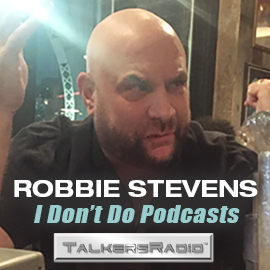 Noted radio consultant and TALKERS columnist Holland Cooke says, “I can help you…but first, can I talk you out of it? 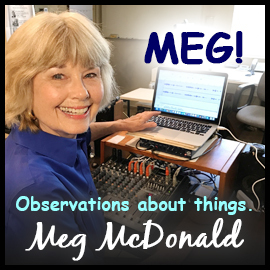 Even though being syndicated seems to be the dream of most local or even wannabe radio talk show hosts, having your show run on a string of stations around the country is a goal that 1) is extremely difficult to attain; and 2) might not be worth the effort at this point in the industry’s evolution. Read Holland Cooke’s fascinating, eye-opening explanation of what you will be facing, in addition to suggesting workable and realistic alternatives, in a blunt, informative article by clicking here. KGOW, Houston Shuffles Lineup; Granato and Pendergast to PM Drive. The lineup at Gow Broadcasting’s KGOW, Houston will feature Yahoo! Sports Radio morning personality Steve Czaban and current AM drivers John Granato and Sean Pendergast will move to the PM drive slot beginning Monday, March 11. The Houston Chronicle reports Adam Clanton and John Wessling – the afternoon drive team since last August have exited the station. In the Chronicle piece, owner David Gow addresses the station’s recent poor ratings which have failed to have the station appear in the most recent survey. “We look forward to our ratings coming back up with this lineup. We’ve been frustrated with the Arbitron results for a period of months. But the driving factor is the chance to put together this new lineup that will roll out on Monday.” Czaban will be followed by DIRECTV/Fox Sports Radio’s Dan Patrick with John Harris hosting the 11:00 am to 3:00 pm program. Odds & Sods. Sports USA is presenting exclusive national terrestrial radio coverage of all three legs of horse racing’s Triple Crown. The company is partnering with Mike Penna’s Horse Racing Radio Network for the events. Each two-hour broadcast will begin at 5:00 pm ET and will feature the live call of each race from the track announcer along with live trackside reports…..ESPN Radio’s Championship Week coverage begins with the inaugural “Greenberg & Greenberg in the Morning” show this Friday, March 8 from 6:00 am to 10:00 am ET where Mike Greenberg will be joined by former Virginia Tech men’s head basketball coach Seth Greenberg for a hoops-heavy, four-hour broadcast. The network is also airing the Big 12 Semifinals and Championship as well as every game of the ACC Tournament……SiriusXM teams former NFL QB Rich Gannon with Bruce Murray for “The SiriusXM Blitz” program that airs weekdays from 11:00 am to 3:00 pm ET on its NFL Radio channel. A Capitol Idea. KARN-FM, Little Rock afternoon drive host and program director Dave Elswick is hosting live broadcasts twice per week from the Arkansas State Capitol in order to keep his listeners up-to-date on the latest state political news (and, of course, Dave’s opinions concerning said news!). 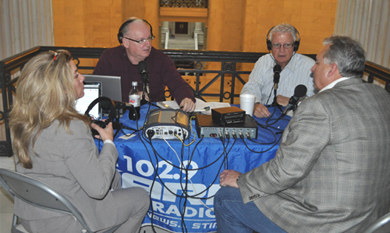 Pictured here at a recent broadcast from the capitol building are (from l-r): guest host Laurie Lee, Elswick, Saline County Clerk Dennis Milligan, and Arkansas Tea Party activist David Crowe. Sequestration Issue, North Korea Threats/Dennis Rodman Remarks, Iran Nuclear Build-Up, Surging Dow, and Jeb Bush in 2016 Rumors Among Top News/Talk Stories Yesterday (3/4). The ongoing sequestration issue; North Korea’s threats against South Korea and Dennis Rodman’s cozying up to Kim Jong-Un; Iran’s nuclear build-up; the surging Dow Jones industrial average; and Jeb Bush’s not ruling out a run for president in 2016 were some of the most-talked-about stories on news/talk radio yesterday, according to ongoing research from TALKERS.